Around 90 per cent of all companies in the Middle East qualify as small and medium enterprises (SMEs), but attract only 7 per cent of bank lending, underlining an urgent need for steps to be taken to facilitate more lending, highlighted a workshop. 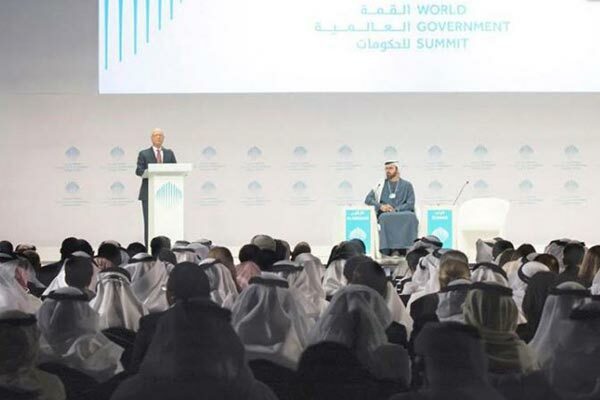 The high-level workshop on ‘SME Development and Financial Inclusion in the Arab world heard this morning’, was part of the World Government Summit (WGS) - organised by the UAE Ministry of Finance in collaboration with the International Monetary Fund, reported state news agency Wam. Opened by Obaid Al Tayer, UAE's Minister of State for Finance, and Christiane Lagarde, managing director of the International Monetary Fund, the discussion, behind closed doors, heard views from Arab Ministers of Finance and Central Bank Governors on steps taken to facilitate lending to SMEs, including speakers from Bahrain, Algeria, Egypt and Sudan. Other contributions came from the chairman of the Arab Monetary Fund, the Governor of the Kenyan Central Bank and the president of the Croatian Bank for Reconstruction and Development, while other participants in the high level workshop included the Minister of External Relations of the British Crown Dependency of Jersey. Among UAE participants, besides Al Tayer, were Sultan bin Saeed Al Mansouri, Minister of Economy, and Mubarak Rashed Al Mansoori, Governor of the UAE Central Bank, both of whom spoke, and Ahmed Al Sayegh, Minister of State and Chairman of the Abu Dhabi Global Market.